How well do you know your neck? This magnificent and delicate structure that holds up your head, moves in many directions and protects your body’s lifeline is often taken for granted…until it is injured. It may seem simple when looking from the outside, but inside it is a complex structure that is vital for health. Your brain extends down through your skull and becomes your spinal cord in upper part of your neck. The nerves control and coordinate the function of every cell, tissue and organ of your body. They control all your vital organs including your heart, lungs, liver, stomach and kidneys. When you swallow, clear your throat, or take a deep breath these actions are controlled by the nerves. All of the muscles that turn your head are also controlled by nerves. When you look to the right or the left while driving your car or when you answer yes or no to a question, be thankful for these nerves. There are 7 bones that make up your neck – also known as your cervical spine. When you are a baby and you begin to raise your head to look around, your neck begins to develop its cervical curve which becomes the normal spinal alignment as you age. This alignment ensures proper movement of your neck, good nerve supply, and normal function. Unfortunately, your neck can become injured from the birth process, falls, accidents, or other types of stress which can affect the alignment, nerve supply and function of your spine as well as all of the organs, systems and tissues supplied by those nerves. 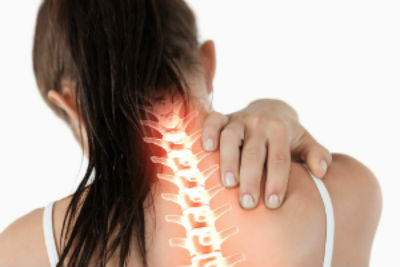 This injury is known as a vertebral subluxation. Because there is so much affected and controlled by the neck, these subluxations can cause health problems such as neck, shoulder and arm pain, headaches, allergies, attention deficit and so much more. The list of conditions that can be caused by subluxations is long. Rather than masking your symptoms with over the counter or prescription medication such as muscle relaxers or pain relievers, which can have severe side effects, it is better to get to the cause of the problem and get the alignment of your neck corrected. Have you ever noticed an older person whose head was hunched forward? Think about how they had difficulty turning and moving? This is what you see when you look at them but what you do not see is the impact this neck dysfunction is having on their health and quality life because of the interference to the nervous system. Isn’t it time you stop taking your neck for granted? Make an appointment for yourself and your loved ones today.